British wood chipper manufacturer GreenMech has successfully wrapped up a patent dispute with a German competitor. GreenMech launched a patent infringement action against Jensen in the German Patent Courts to protect its ‘Safe-Trak’ European patent. It has concluded with Jensen agreeing to stop production of its ‘X’ track system. GreenMech says that its ‘Safe-Trak’ wood chipper is “the world’s most successful tracked wood chipper of its type”. It is designed to safely access, and operate on, difficult terrain by using two independently adjusted track-mounted legs. By extending one track at a time embankments up to 35° can be traversed safely. With both track mounts fully extended a ground clearance of up to 600mm can be achieved for clearance of hidden obstacles on the most difficult terrain. 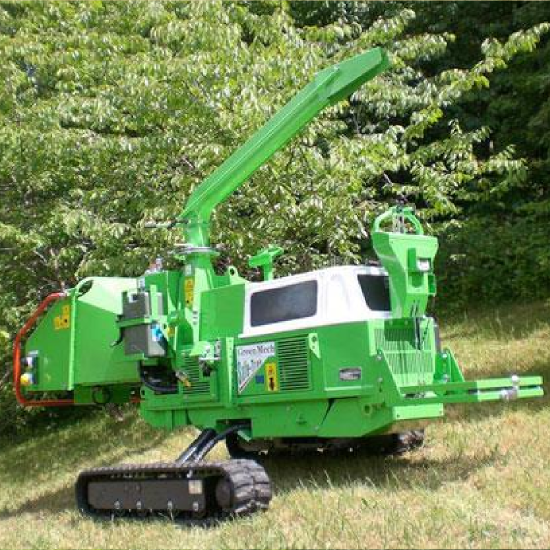 This feature makes it a popular machine for de-veg contractors working on power line and railway track maintenance, GreenMech says.